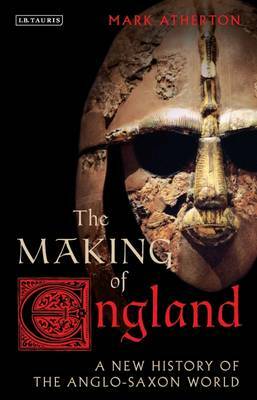 Congratulations to Dr Mark Atherton (OB 1969-1976), Senior Lecturer in English Language at Regent’s Park College, Oxford, on having his latest book, The Making of England, a new literary history of the Anglo-Saxon world, published. Mark’s special interest is in medieval history and literature. A passion he shared with another former QEGS pupil, his close friend, the late Prof Eric Stanley, former Professor of Anglo-Saxon at Cambridge. A review of the book states that Mark shows how the stories, legends, biographies and chronicles of Anglo-Saxon England reflects both this exciting time of innovation as well as the myriad lives, loves and hates of the people who wrote them. Mark’s book is published by I. B. Tauris and is available from most high street book shops and online, ISBN: 9781784530051.